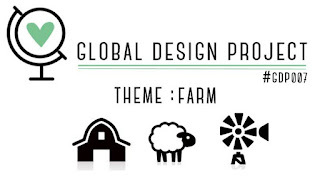 This week Global Design Project is back with another CASE the Designer challenge. This time we get to CASE the very talented Bibiana Cameron. I love Bibi's love of colour, fun sense of style and the fact she uess her sewing machine on quite a few projects too, lol! 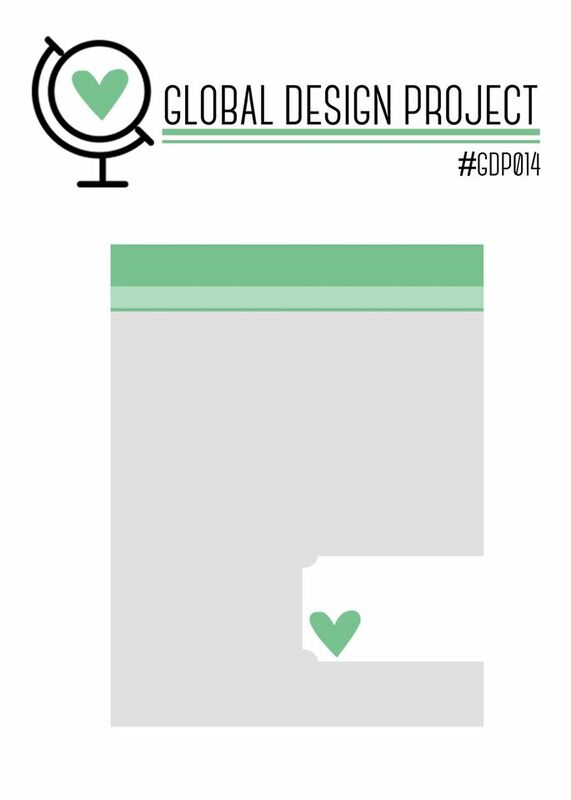 I feel very privileged to be working with her on the Global Design Project team. What does CASE mean? Well at this challenge site it means to Copy And Selectively Edit. Look for a few things that you like from the project, colour, texture, layout and then create your own project from there. I also liked the circle element that Bibi had on her card and used my twine to recreate that feature behind the sentiment. 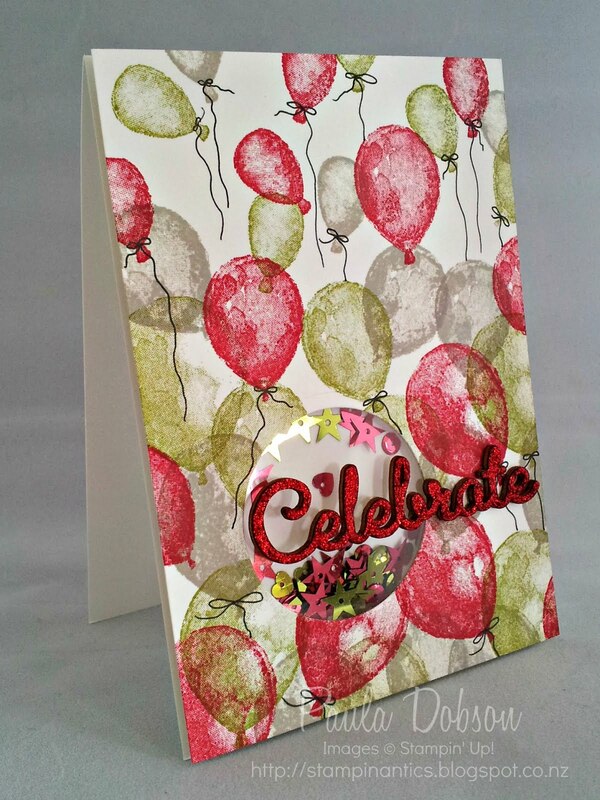 The sentiment is a sneak peek of a set available to earn during Sale-A-Bration - starting January 5th. Not long to wait now!! 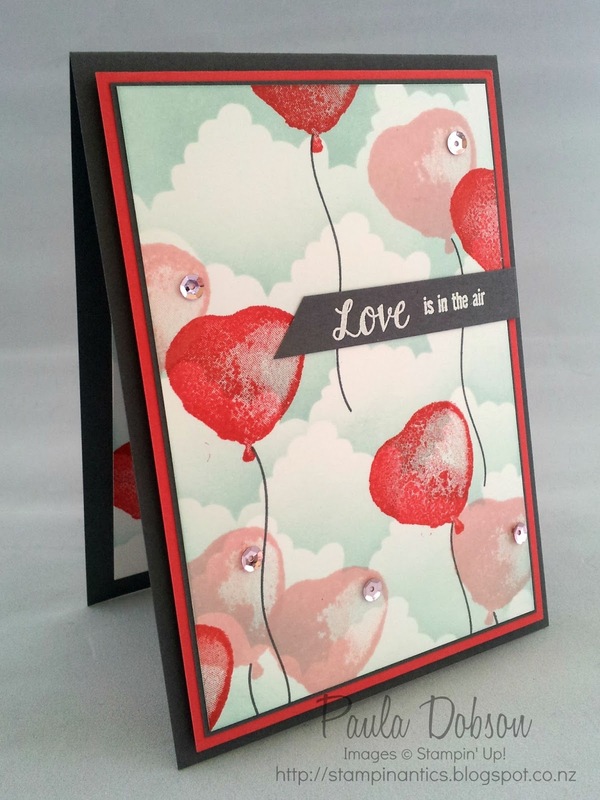 I know Valentine's day is a wee way off yet, but in preparation of my catalogue launch, I have been putting the Balloon Builders stamp set through it's paces. Just look at my last post for another example of this set in action. 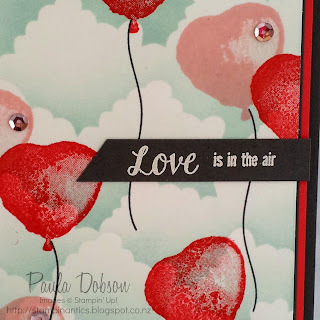 One of the balloon images is in the shape of a heart and there is a perfect sentiment for my card included in the set too! 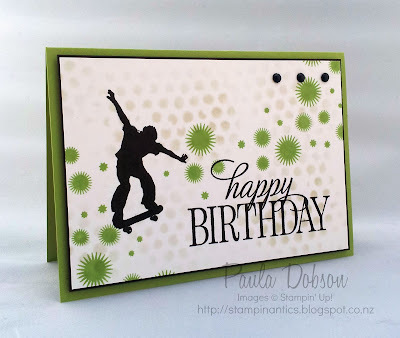 I started off my card by sponging in the sky/clouds in Soft Sky ink. I then stamped over the top with the heart balloon image in Blushing Bride and Watermelon Wonder inks. The string tails have been stamped in Basic Grey ink. On the pink balloons I have adhered Blushing Bride sequins. 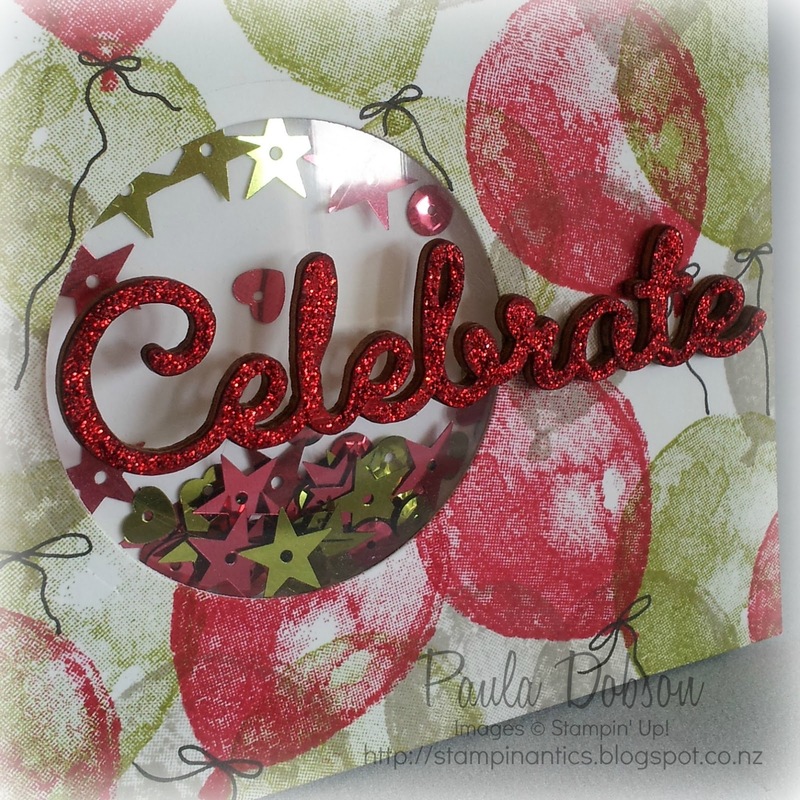 These are from a gorgeous new embellishments kit called Love Blossoms. The sentiment is actually a square stamp, with the word "love" at the top and the rest of the sentiment below the word. 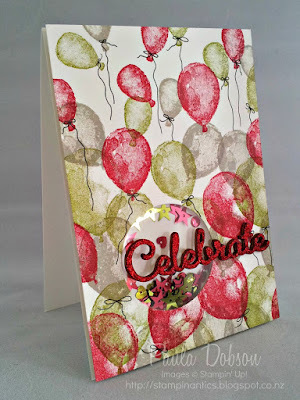 I really wanted a banner across the card, so I masked my stamp, and stamped it in two portions - problem solved. 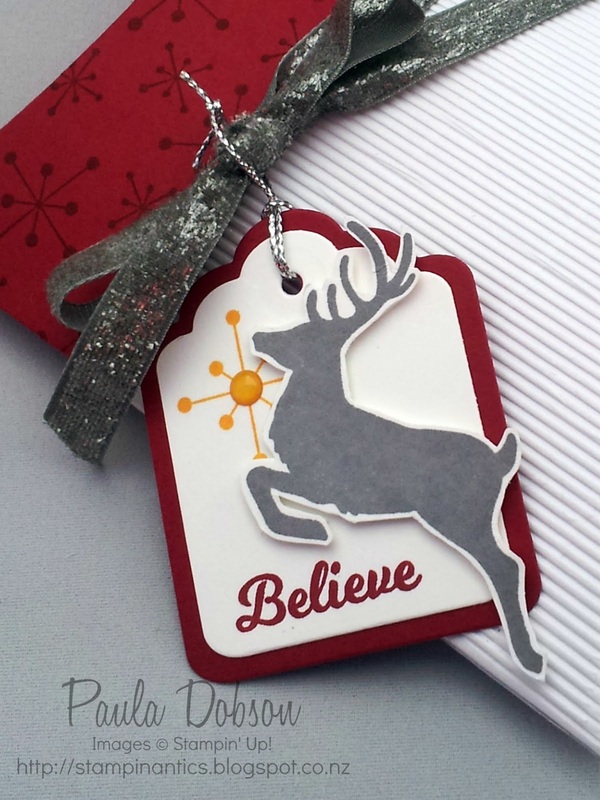 I heat embossed in white on a Basic Grey background. 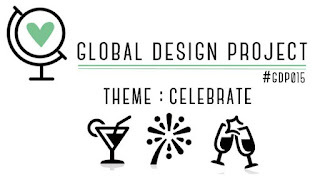 It's time to celebrate a new challenge with the Global Design Project team again! Will you join in with this fun theme? I have celebrated with another sneak peek of things to come in the new Occasions catalogue - the Balloon Builders stamp set. How cute is this set?! Playing with new toys is rather like being at a party for me, a definite cause for celebration, lol. With Balloon Builders you are only limited by your imagination. You could literally use this set in thousands of ways! 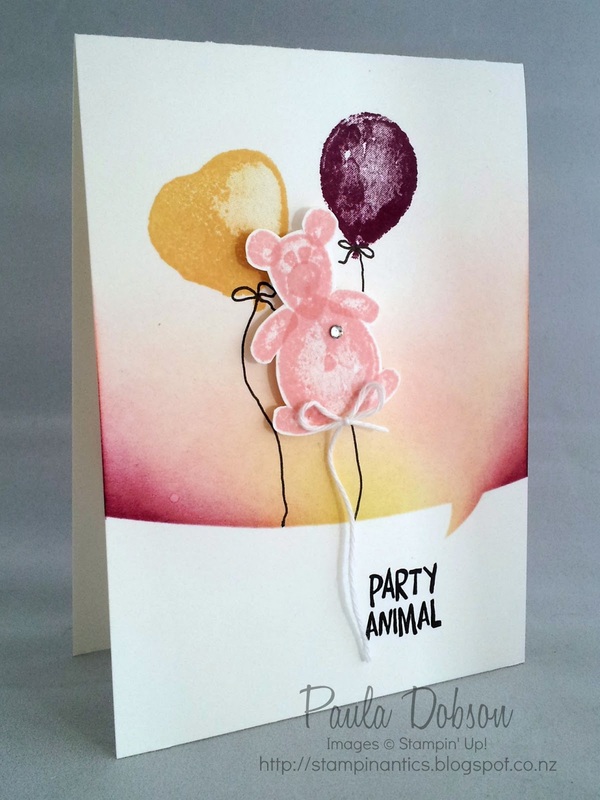 As soon as I saw "Party Animal" I knew I had to recreate a teddy, a big softie, completely opposite to a real party animal! I liked the play on words though and wanted to use that as my theme. I "built" my teddy on a separate piece of card, fussy cut her out and placed a rhinestone over her heart. After sponging my background, I popped her up on dimensionals and added a Bakers Twine bow and length of string so she didn't float away! 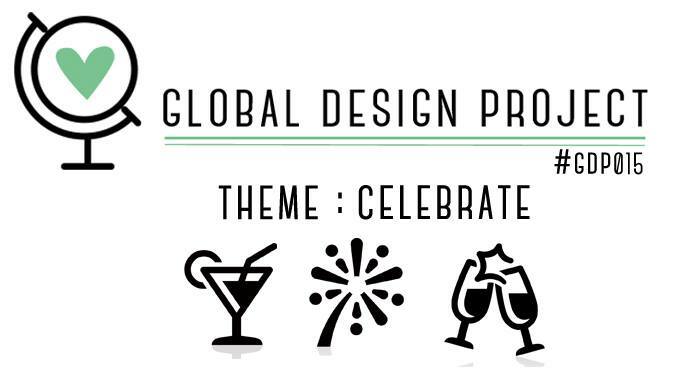 I can't wait to see how you are going to "Celebrate" this theme with us this week at Global Design Project and I look forward to seeing you there! With only 17 more sleeps til Christmas, most of us have made our Christmas cards, created our gift packaging and finished our shopping. It is summer here in the South Pacific and one type of event that is popular right now is - Weddings! Now I don't have any to attend myself, but it doesn't hurt to have a few pre-made cards ready to give on standby. 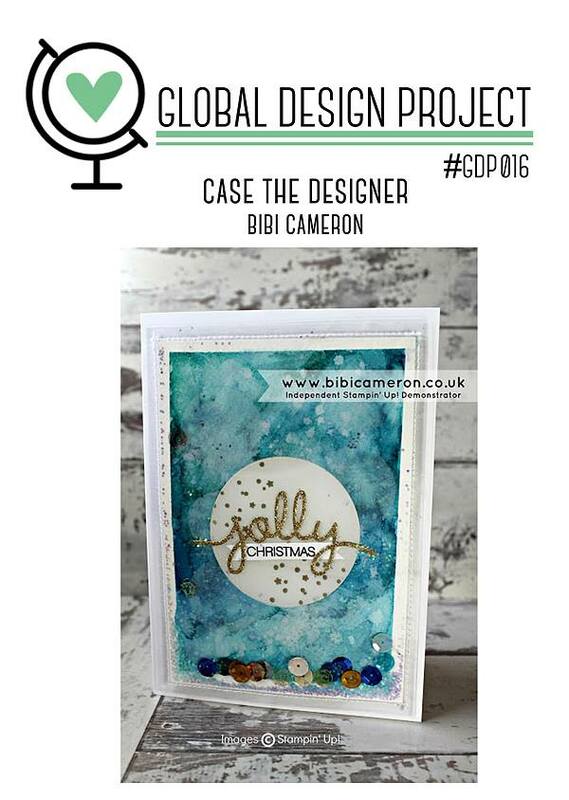 At Global Design Project we have a sketch challenge for you which I felt had "wedding" written all over it! 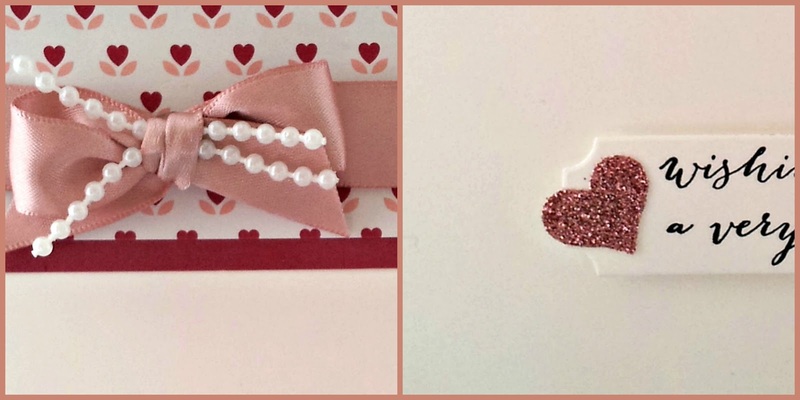 Weddings and romantic type cards aren't ones I normally specialise in and sometimes find quite difficult to create. I loved the great open space in this sketch and that was the element I wanted to keep on the card. The new Occasions catalogue, due for release January 5th, 2016, includes a beautiful suite called Love Blossoms - just perfect for this kind of project! The designer papers are beautiful and it was hard to pick which one to use! 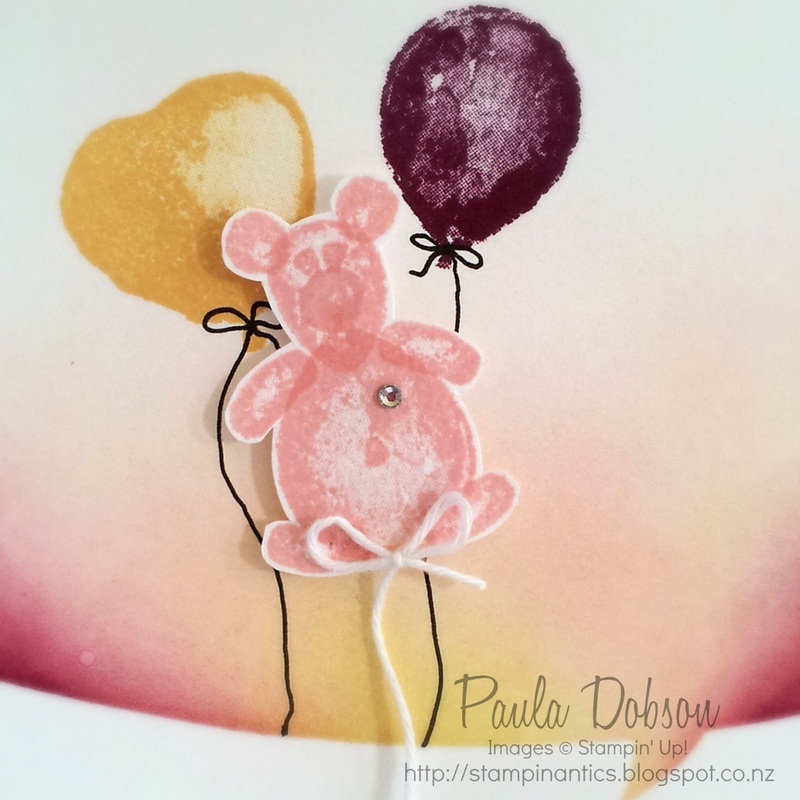 The embellishment kit made selecting the bling easy! Oh, and is that new Glimmer Paper I see?! 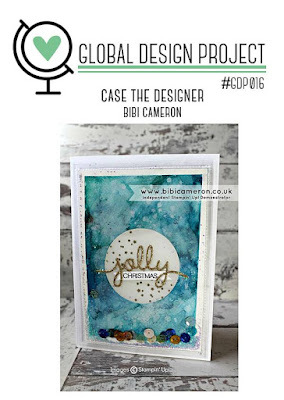 I hope you will join us over at Global Design Project with this great sketch challenge. The design team have amazing projects there to inspire you. Go leave them some comment love! I love shaker cards and I am always impressed when I see what other people have done. 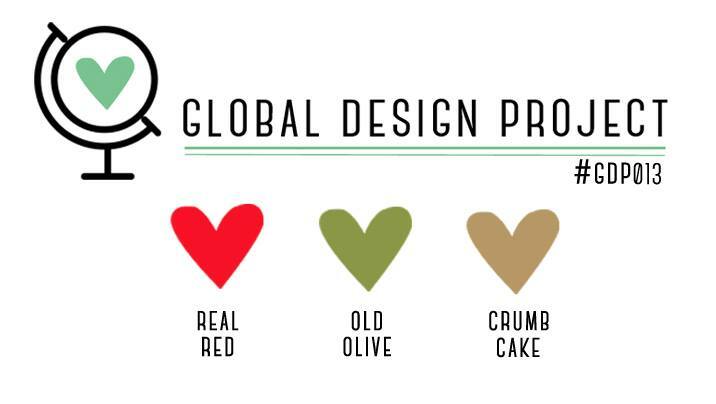 Over at the Global Design Project challenge site this week, we have a colour combination of Real Red, Old Olive and Crumb Cake to inspire you. 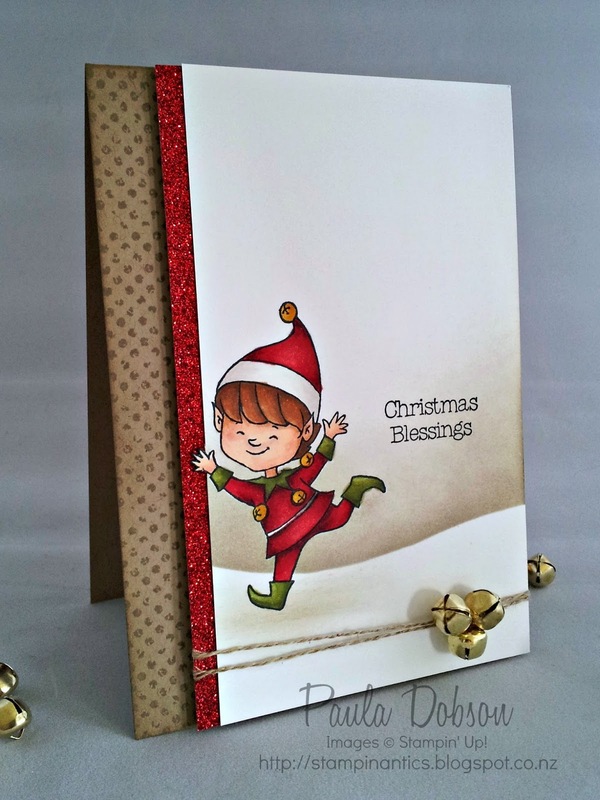 This was my first attempt at the challenge, but I discarded (excuse the pun) it and went with my little elf instead. 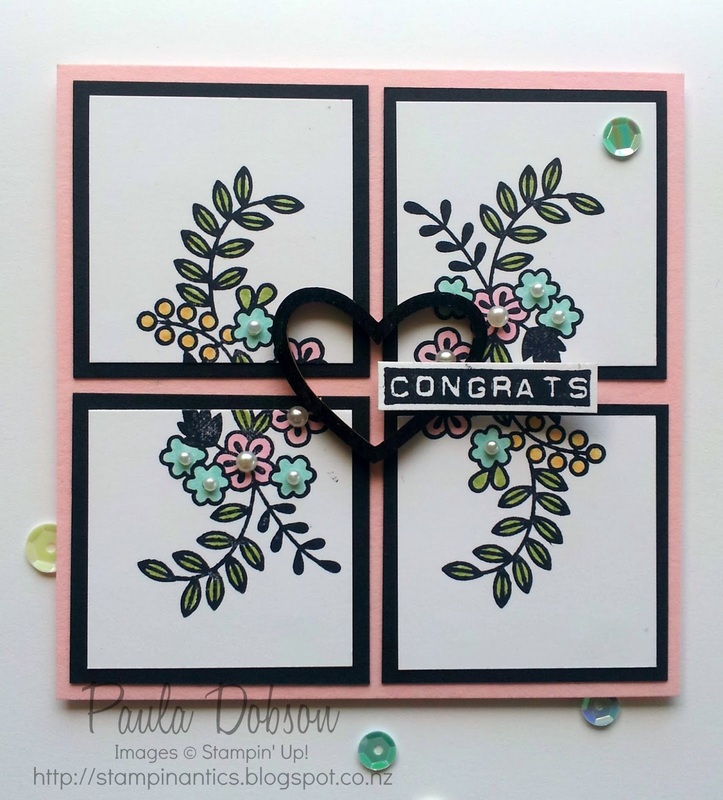 I thought I would share this card anyway since it has a sneak peek of new product available in the Occasions catalogue, which goes live on January 5th. I have been playing with this sweet balloon set called Balloon Builders, which demo's attending Stampin' Up! 's Onstage events worldwide recently were given. Just one of the many perks of being demonstrator! Another perk is being able to order these new products a month earlier than the release date for customers! Perhaps this is one of the motivators for you to join me and my team of demo's here in New Zealand. I would love to hear from you if you would like more information! The gorgeous sparkly sentiment started life as a wooden Expressions Natural Element. I simply pressed it into my Real Red ink pad and then added Cherry Cobbler Dazzling details and left it to dry. 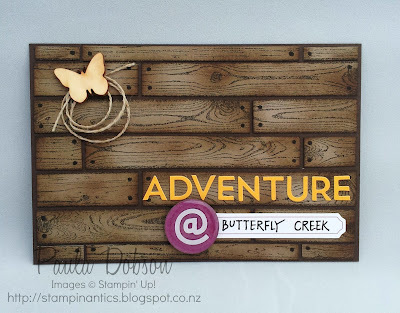 I love these wooden sentiments as you can easily customise them to any project! They really do scream Christmas, right? My elf and background are actually one piece of card. I stamped my elf, masked him, then sponged in the background. 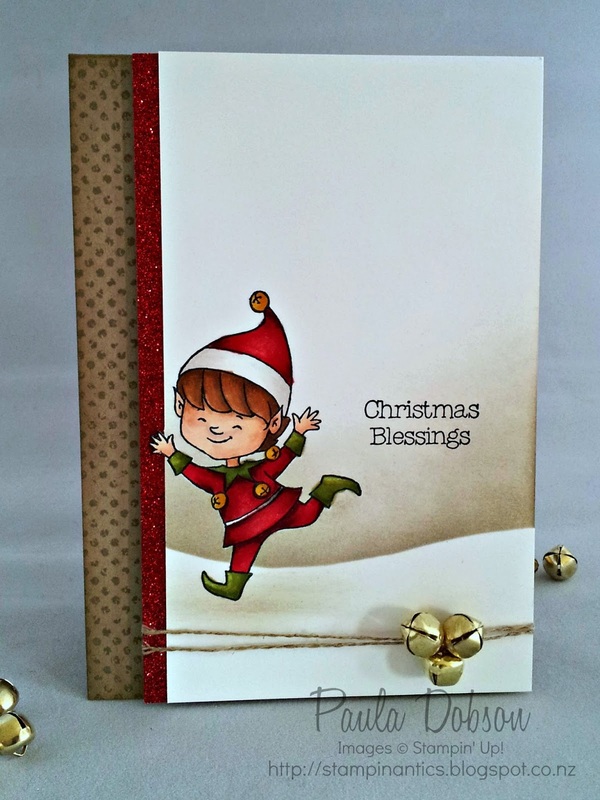 I coloured my elf with alcohol markers and then trimmed the side of my card in close to the image and allowed part of his hand to extend beyond the egde of the card. I think it gives the illusion that there are more layers on this card than there actually are. I discovered a secret horde of little Jingle Bells in my craft stash and just had to add them on the card too. Now it jingles when you shake it! See the spotted base card? 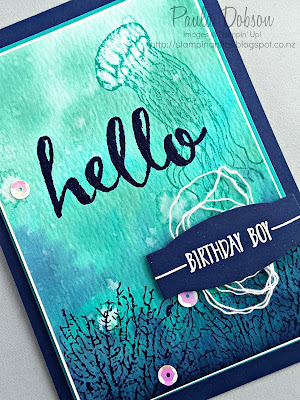 That is a little sneak peek of a fabulous new stamp set called Timeless Textures! It's in the Occasions Catalogue due for release on 5th of January and is my favourite pick. 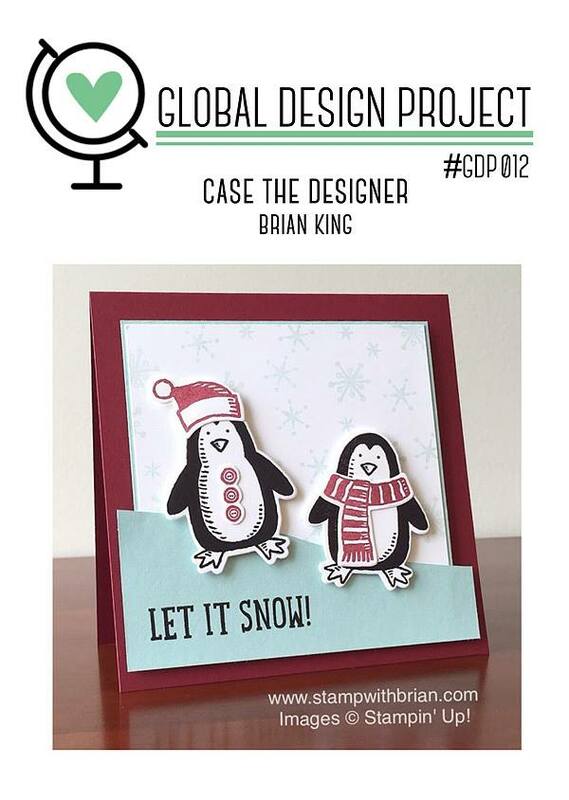 I hope you will join in the fun of this colour challenge at Global Design Project this week. We would love for you to visit and share your creations with us! I love Brian's signature "clean" style and rather stupidly thought he would be fairly easy to CASE. Turns out that no, he wasn't! So I ended up choosing to make my card square like Brian's and used the same colours. Initially I had Penguins stuck in my head (thanks Brian! 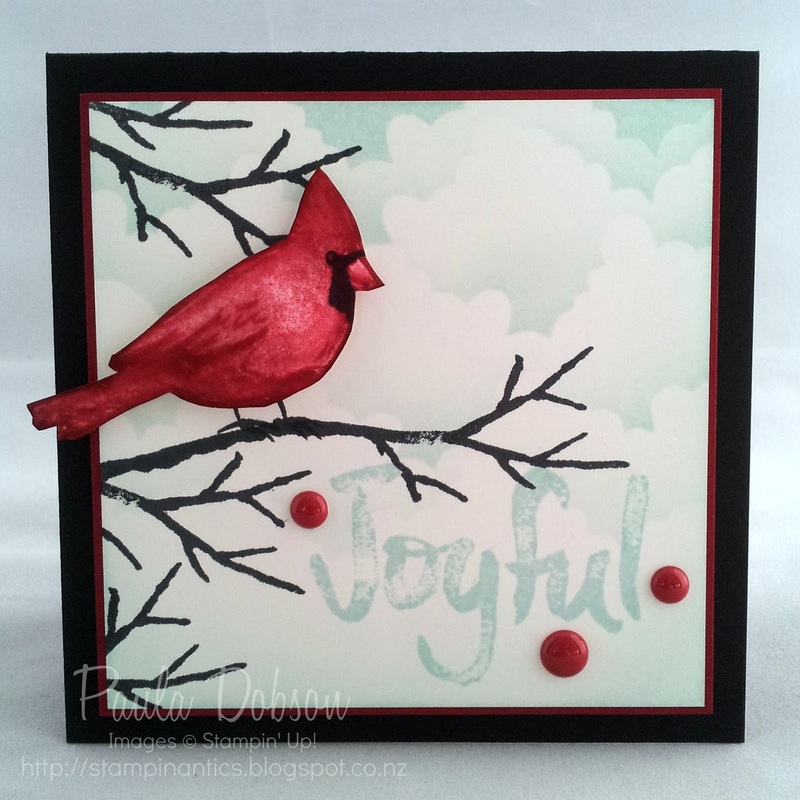 ), but in the end I choose to use this Cardinal image because it hadn't seen ink yet! 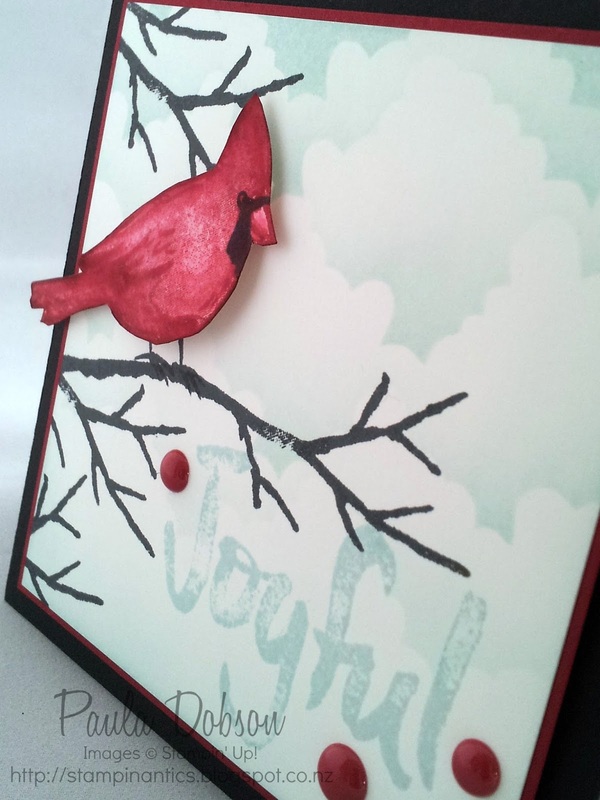 Once I sponged my cloud background and stamped the branches, the card came together quickly. I fussy cut my wee birdie and then very gently burnished him to round his fat little tummy, before sticking him onto the branch with Dimensionals. I really love the tone on tone sentiment. It is such a big word, that using any other colour would have completely overtaken the whole card. It is amazing the diversity of the DT's projects when CASEing the same designer. 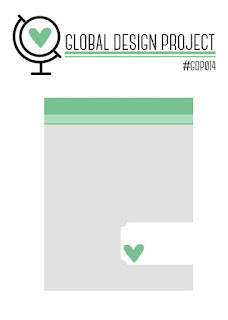 Head on over to Global Design Project to take a look, then get cracking on your own entry. 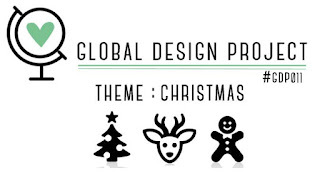 You have until Saturday 28th November to submit your design. Can't wait to see it! 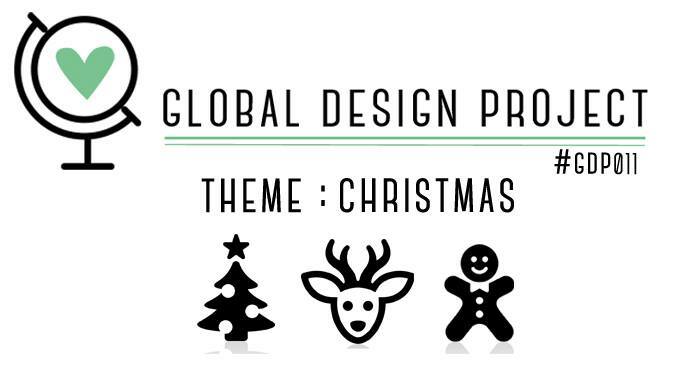 With Christmas fast approaching, it only makes sense that the next theme at Global Design Project is, well, Christmas! I normally make Christmas Crackers for the table each year, but I got to thinking of different ways to package up a treat instead. I have only recently relented and got the Bakers Box Thinlits dies, after seeing so many wonderful projects made with it. I have decided to use this instead of ordinary Crackers this year. I have no idea why I waited so long to add it to my stash as it is a fabulous size for holding edible (and non edible) treats! I also wanted to get away from traditional Christmas colours and settled on Black, Silver and White. 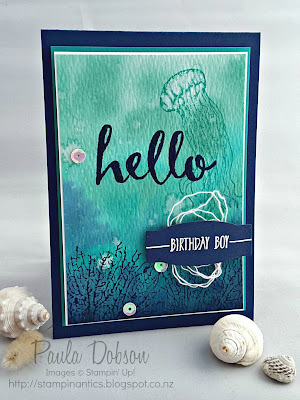 I stamped the Smoky Slate box with the Sunburst stamp from Perpetual Calendar before putting it together. 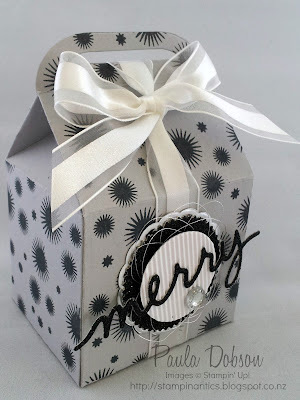 The lovely organza ribbon helps to hold it closed while also dressing up the top of the box. For my layered sentiment I broke out the big guns! 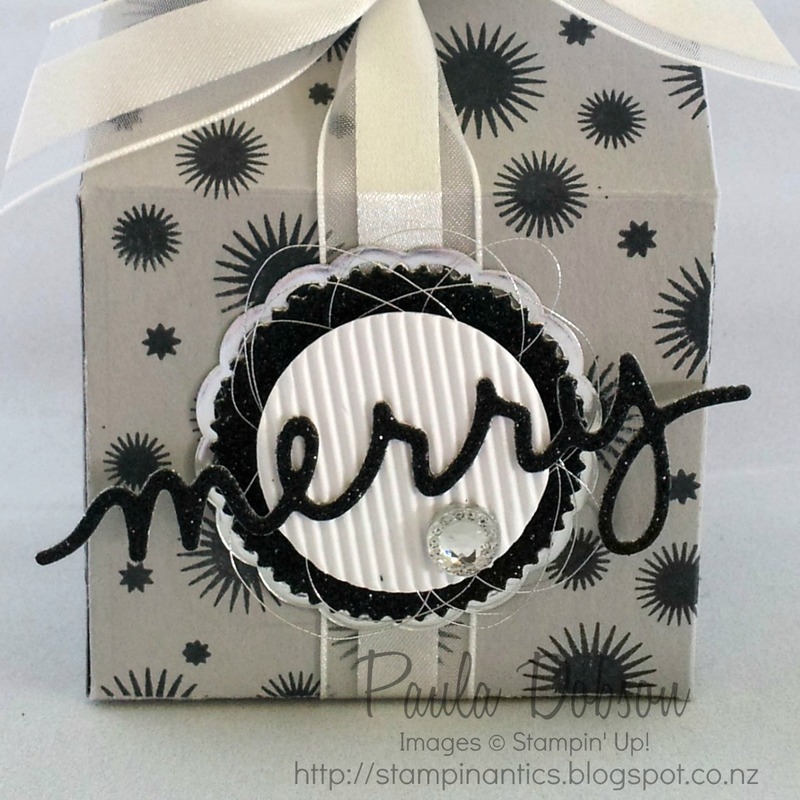 Silver Foil doilies, black Glimmer Paper, white corrugated paper, silver thread and an Iced Rhinestone. I don't know about you, but that looks pretty festive to me. Now I just have to replicate it "x" amount of times for everyone coming to Christmas dinner. 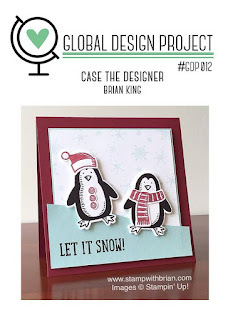 I hope you feel inspired to dress up your own table, or at least, play along with the theme of Christmas with us at Global Design Project this week! I bet you were expecting a Christmas card, right? Wrong! This weeks challenge at the Global Design Project is a sketch challenge and as I have mentioned before, I take these literally! To me, this weeks challenge just screamed WEDDING, and that is the season we are heading into here in New Zealand. I don't make Wedding cards often, so this was a refreshing change for me. The hardest part was getting my squares and layers to match up! 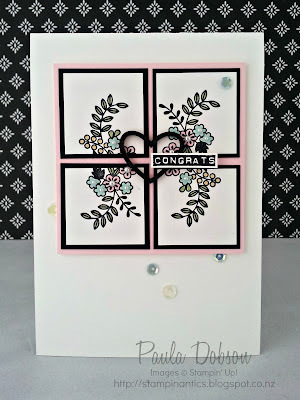 A while back I purchased the Watercolor Wishes card kit (page 80 of the main Stampin' Up! catalogue), and after I had put all the cards together, I had a heap of product left that I could use on other projects. That is where I got the sequins and the gorgeous wooden heart from that you can see. I coloured the heart black simply by planting it face down in my Memento Tuxedo Black ink pad. I used SU Makers to colour in the delicate flowers and finished the whole thing with a few Basic Pearls. I hope you feel inspired to give this weeks challenge a try. You don't have to stick to the sketch exactly (like I do, lol), but allow it to inspire you. The Design Team creations are amazing as always, so check them out for yet more inspiration. 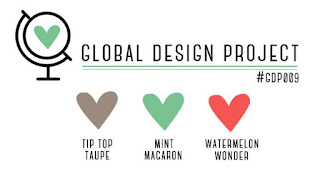 Coming to you from the Global Design Project - a colour challenge! 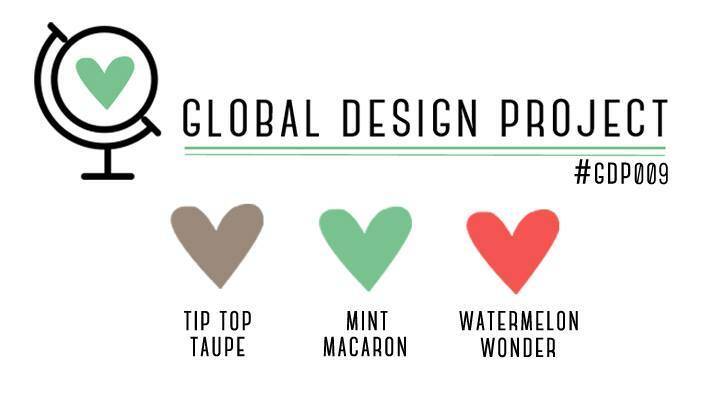 This week, we have been challenged to use Tip Top Taupe, Mint Macaron and Watermelon Wonder. Not typically Christmas colours, but I thought it would be fun to try. 1. 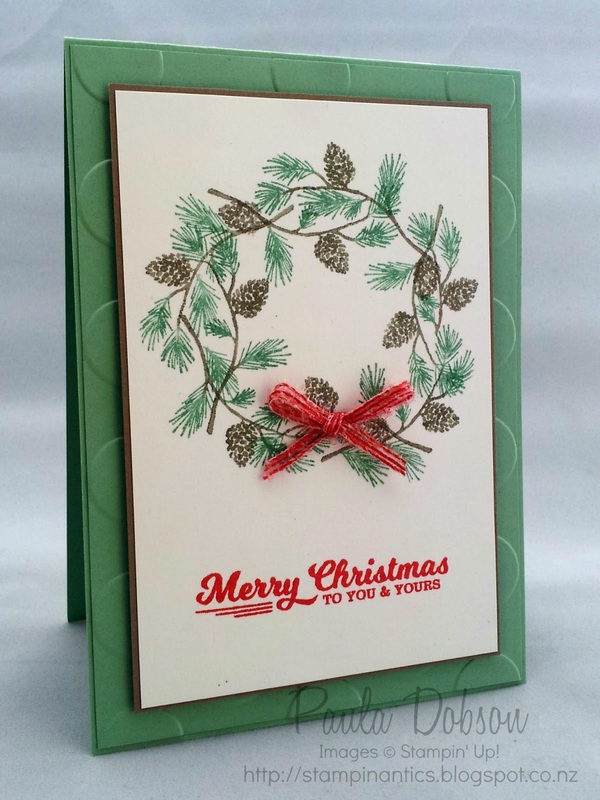 Lightly traced a circle in pencil on my card where I wanted the wreath to go. 2. Used a Tip Top Taupe and Mint Macaron Marker to ink up my stamp, and stamped my branch, using the pencil circle as a guide. 3. Repeated the process until I have gone around the circle, changing the angle of the stamp each time. It was never going to be a perfect circle! 4. Cleaned my stamp really well, then inked up just one pine needle cluster. Found a gap in the branches and stamped. I repeated this a few times. 5. Repeated step four with the pine cones. 6. Once the ink was dry and using an extra soft eraser, I rubbed out the pencil circle. The little ribbon was also a bit of trickery. I used the lovely White Jute ribbon, but of course it is too wide for this little wreath. I ran my Watermelon Wonder marker down the edge (about three strands in), then trimmed the edge off before tying it in a bow. So there you have it! 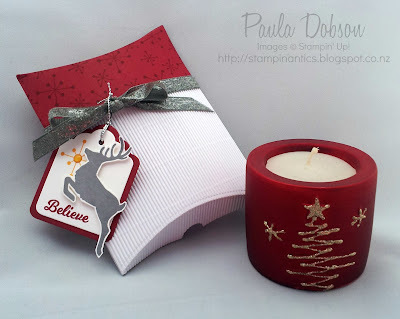 I hope you feel inspired to make a wreath of your own with this method. I rather enjoy selective stamping. 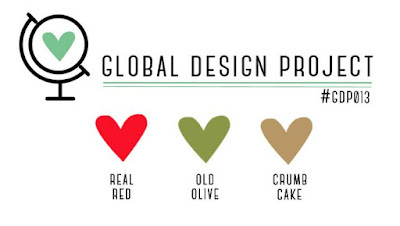 In addition to the three colours above, you can also use the following neutrals; Whisper White, Basic Black, Very Vanilla or Crumb Cake. 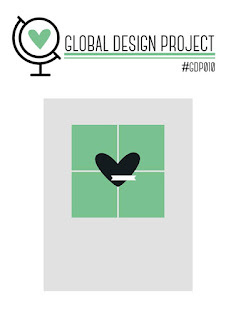 We have had such an amazing response to our challenges at Global Design Project and the support has been overwhelming. I look forward to seeing what you have created with these three colours! While I am primarily a card maker, I like to push myself in other directions, even if they are slightly uncomfortable for me. 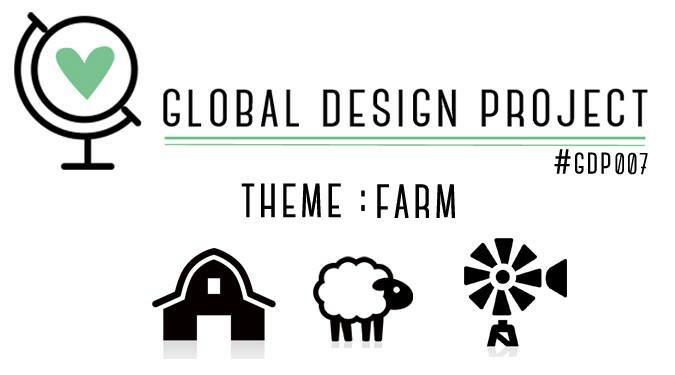 Since joining the Global Design Project, I have tried to be a little more creative in the projects I design, with things like Project Life and three dimensional projects. 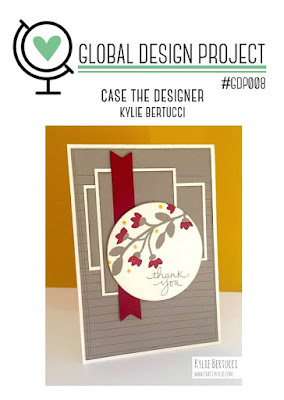 This weeks theme is to CASE the Designer - Kylie Bertucci. I normally take things so literally and my first thought was to CASE the card layout. 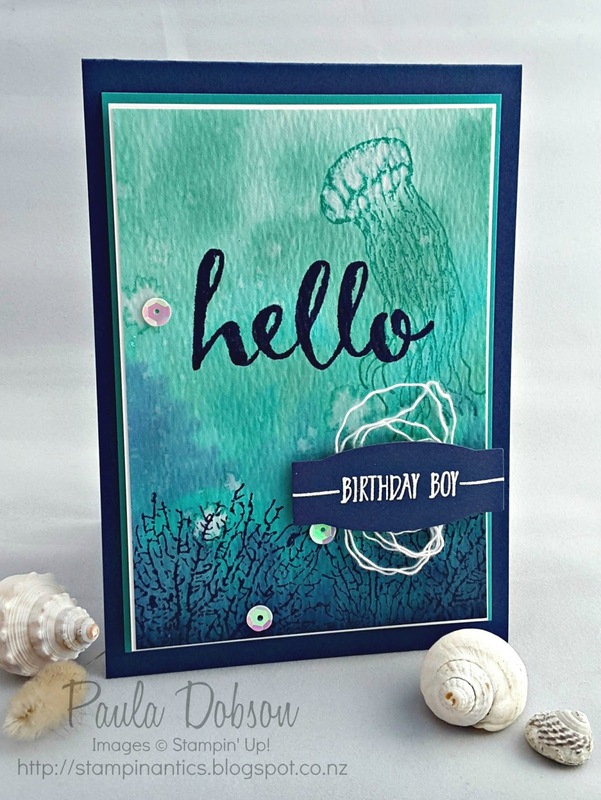 Instead I pushed myself to make something 3D using the colours in her card. I haven't long had the Pillow Box die or the Corrugated cardstock and wanted to give them both a workout. I love the look of the corrugation on the box, it adds a very interesting texture. I also extended the box a little when I added the Cherry Cobbler top. See the beautiful ribbon, all glittery? That is the White Glitter ribbon from the Holiday catalogue. 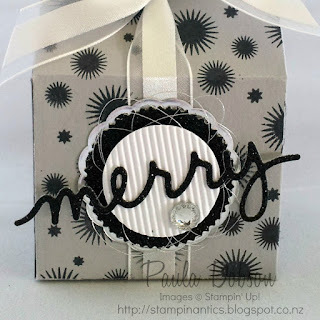 My good friend Claire Daly shared how she coloured that back of the ribbon with a Stampin' Write marker, so I did too!. It is worth a little effort to have a matching ribbon! I can't wait to see how you take inspiration from Kylie's project when you play at Global Design Project with us! Going for a Skate - that's a term I normally use when I have taken a tumble! I haven't, thank goodness, as it takes me longer to get up these days, lol. I did need a birthday card for a young at heart 27 year old male however, and I think the skate boarder stamp (unfortunately retired) fit the brief perfectly. 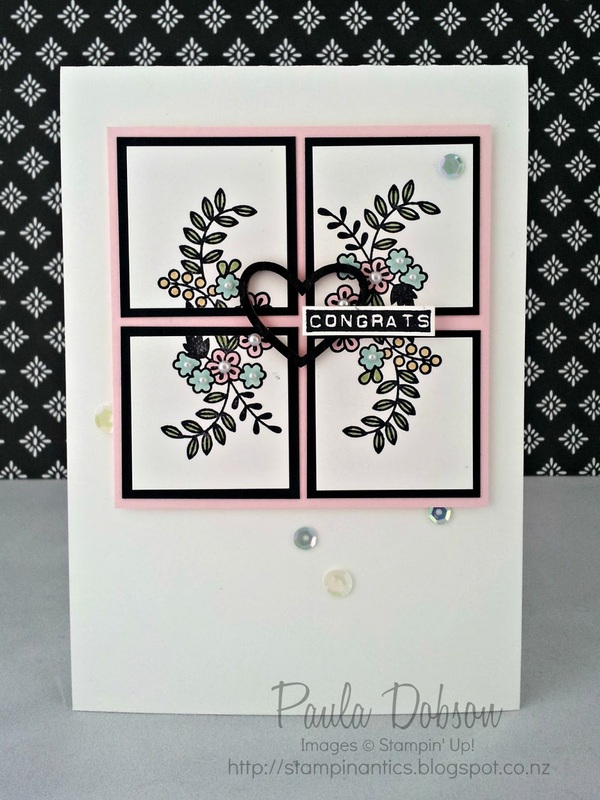 I kept the colours fairly neutral, except for the pop of Pear Pizzazz, and added a fun background by sponging over a small polka dot stencil I have in my stash and then stamping the sunburst on top in Pear Pizzaz for impact. The images are stamped in Early Espresso ink and the card finished with three Espresso brads in the top right hand corner. The image panel was popped up on Dimensionals before being added to my card base. 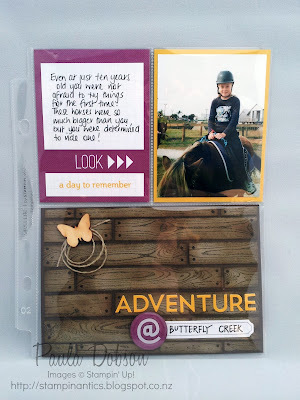 I decided to make a Project Life page recording my daughters first (and probably only) horse ride a few years ago. While we have some pretty nifty PL cards that I could have just thrown in the pockets, I really wanted to design one myself that had a country/farm feel to it. I stamped the Hardwood background stamp on Crumb Cake card and then cut each plank before sponging ink around the edges to make it look more realistic. 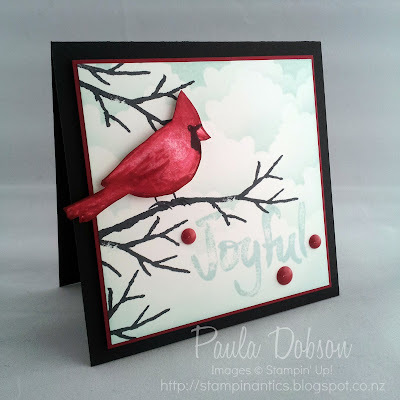 The "nails" were simply a Stampin' Write maker. 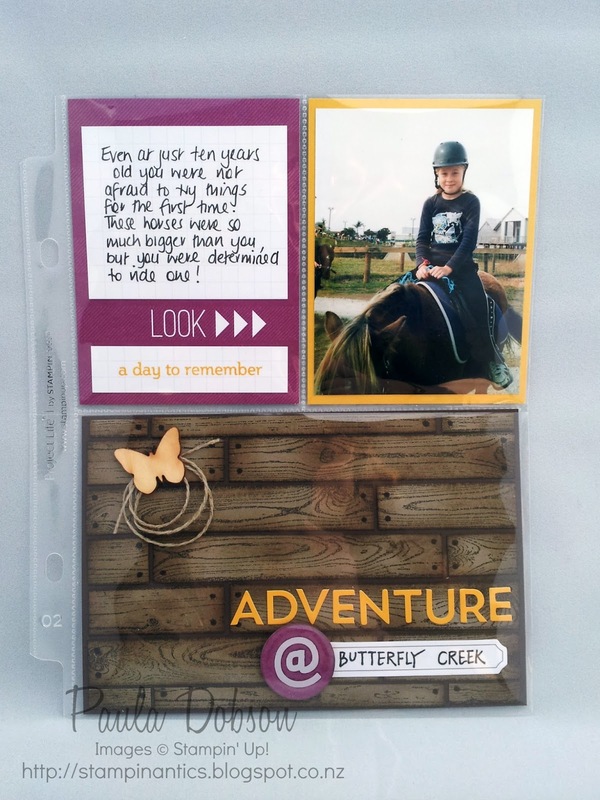 I used the accessory kit from the This is Your Life PL range too. I created my own flair button using an @ sticker from the kit and the heading is from the Sticker Alphabet that comes with the kit too. I love these kits because they make coordinating everything so easy! 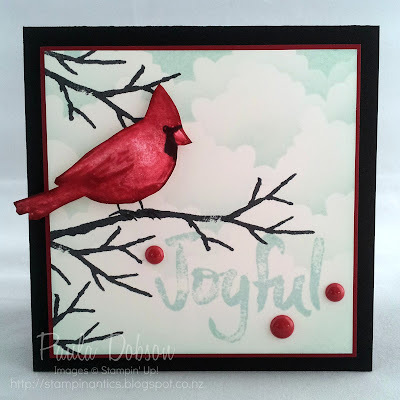 I used a preprinted PL card from the same card collection behind my journaling card. I like that it draws attention to the photograph. I love how my page turned out. It certainly has a Farm feel about it, don't you think? 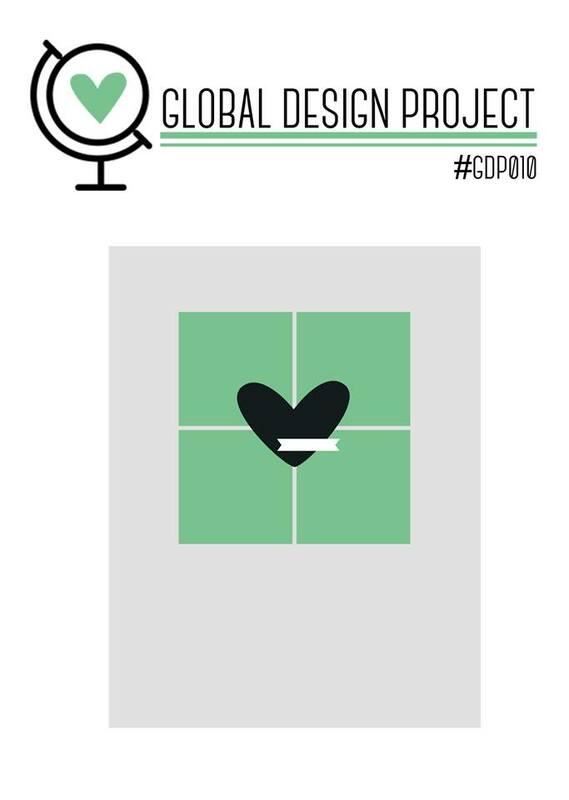 Head over to the Global Design Project site to have a look at the wonderful projects the rest of the Design Team have made and gain a little inspiration for your own project. I hope you will join us this week for this fun theme!